I've had encounters with the black dog at different stages of my life, which I'm sure many of us have. I've only come across one doctor who ever prescribed medication. I ended up not taking it, because when I sought the opinions of others, they thought she might have been a bit too quick. They suggested a good rest, plenty of fresh air and my favourite pastime, reading, first. It's worked for me. In return, I've often suggested reading a good book to friends or family members with depression, but it hasn't seemed to be the right thing to do. Here is the sort of response I've received. It got me wondering whether recommending books to depressed people is a bit of a social faux pas which I'd violated. For my attacks of the blues, reading therapy is the one thing I can depend on to pull me out of it quickest. But maybe I'd never experienced such severe, crashing, clinical depression as they have, so I had to take their word for it. Then I came across a little book entitled, "Reasons to Stay Alive" by Matt Haig, who had been grappling serious depression for years, and came through the other side. He concurred with me. He believes his black dog had almost killed him, and books were his saviour. Haig says that depression changed him from a person who simply liked books to a person who needed them. And his reasons turned out to be similar to mine. He gave a builder analogy. Parts of his mind were broken, and the words of other people within the pages of books became his bricks and mortar, helping him to patch it back together again. Then he gave a potter analogy. He considered his mind to be a hopeless mass of mess and chaos, and the words and sentiments within books helped him to mold it back to the shape he wanted it to be. Haig especially valued books by authors whose minds were clearly in a state of more peace, contentment and faith than he was experiencing. This is also what I've found most helpful about mood lifting books. What we find within their pages, whether fictional stories or gentle, non-fiction encouragement, is like medicine for our thoughts. In my own experience, depression almost always has some bad thought catalyst behind it. If I try hard enough, I can usually track one down. That's why the alternative ways of thinking presented within books has always done me good. It re-aligns my thoughts, getting to the origin of my depression and giving me an alternative way to think. Some of my favourite fictional characters are those whose personalities help to restore what I might be lacking for the time being. If I'm feeling a bit jaded and glum, the cheerful enthusiasm of someone like Anne Shirley will rub off on me. Or maybe if I feel insulted or put down, re-reading the humorous way Lizzy Bennett reacted to Mr Darcy's mean comment will help. And if I need a boost to get back to some work I've been putting off, taking a break to read about the Hogwarts students buckling down to their Potions and Transfiguration homework may do the trick. Similarly, Matt Haig imagined books to be like a treasure map, trying to direct him back to his true self, which he felt was buried somewhere beneath all the muck and mire of his depression. They were like clues along the way, and the more he read, the closer he felt he got. He imagined himself stuck in a sludge of quicksand, and books provided the leverage to pull himself out, because they were full of thoughts he wouldn't have been capable of coming up with on his own. They were like a rescuer's rope. Some of the reading choices he mentioned took me off guard. They weren't the sorts of books I'd necessarily think of recommending to a depressed person, being quite heavy and tragic, but they seemed to work for him. Would you choose 'The Diary of Samuel Pepys' to help pull you out of a mental slump? Me either. But here's what Haig says. 'There was something about the way Pepys jollied on through the apocalyptic events of seventeenth century life that was very therapeutic to read about.' Okay, I guess I can understand that. It just goes to show that anything may help. As for my own choices, just about anything I've recommended on this blog with four or five stars will fit the bill. Maybe even the ones to threes work too, once I've reviewed them, because the very action of finding words to explain my impressions is often enough to help me feel less depressed, regardless of a book's quality. But to finish off with, here are some specific books written by people who have successfully fought their own way out of the murky trap of depression, giving their happier survival stories about where they've been. 1) Reasons to Stay Alive by Matt Haig. It seems only fair to start with the book I've drawn from so much for this blog post. He also mentions other things apart from reading which helped him through several years of deep depression. 2) You can't afford the luxury of a Negative Thought by Peter and John Roger McWilliams. These two brothers have put together a thick book combining quotes from all sorts of historical figures, laugh out loud humour, and sound wisdom to convince us to brighten up our minds. 3) Wobbly by Vikki Roubin. This book was written by an Aussie lady, and I found her personal story and tips for dealing with depression and panic attacks very helpful. It's great because I met Vikki at a writers' conference in Brisbane way back in 2007, and later when I contacted her to say how much I enjoyed her book, she replied that part of her impetus in buckling down to write a book was from attending a workshop I'd presented, in which I discussed just going for it. 4) Stepping out of Darkness by Lisa Limbrick. The author is another Australian friend of mine, who it's been a joy to meet in person. She draws from her own background of psychological knowledge to describe how actually owning her depression has been the first step in developing tools to deal with it. So whatever else anybody may be doing or taking to combat depression, whether medication, therapy, counseling or long sabbaticals, I think books would have to help too, if you feel you could manage. If you enjoyed this post, you might also like this related one about melancholia, the happy side of sadness. Genre: Children's classics. 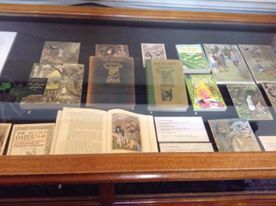 My younger son and I visited Adelaide's Carrick Hill not long ago, and stumbled upon a display of The Secret Garden's many editions which have been published over the years. It's partly what inspired me to dig out the one in my own book shelf, to re-read for my classics challenge. Whoa, all I can say is that I didn't expect the reactions which came as I read. First off, when I checked this book's stats out on Goodreads, I saw a long line of 5 star rankings from friends of mine. They are all really good friends, whose reviews I love. I was amazed that my opinion about this little book differed so much, and a bit nervous that I might tread on a few toes because it seems to be such a sentimental favourite. Then I remembered that when I first read it many years ago, I might have ranked it higher too, so maybe they're cruising on memory to some extent (sorry if that's you). The story begins so grim, there's got to be a HEA (happily ever after) implied, because it can't get any worse. So far so good. I don't mind the direction from horrible to good. It's the opposite movement which gets rough, especially for kids' books. It begins in India, where everyone dies a horrible, painful death of cholera, except for Mary Lennox, the neglected little girl who was ignored by her parents and basically brought up by slaves. She's found days later in the aftermath, and sent off to England to live under the roof of a cranky uncle, Mr Archibald Craven. From a modern perspective, there is lots of pious author intrusion. Burnett never missed the opportunity to drop in moralistic comments, such as 'Mary really was a disagreeable, self-centered and imperial child'. Yeah thanks, I think we get that idea without being told, but that was how some authors did things back then. You whack readers over their heads with your theme, just to be certain they don't miss it. Young Colin's plight is seriously disturbing. A boy who has basically nothing wrong with him is left lying in bed for his first ten years, conditioned into hypochondria and believing he's going to die, because that's the line he's always taken on board from the adults. In all that time, he's never even attempted to walk because he believes there's no point. He rarely, if ever, leaves his bedroom. And he's never been outside in his life. Yet they just mumble insulting things about him beneath their breath (which he overhears) and kowtow to his face because he's the master's son, and they have to observe their ridiculous social pecking order. Burnett kept calling Mary a hard, unloving little girl, and Colin a cantankerous, sickly boy who believed he was going to die, as if this was all their own fault. Come on, they were ten-year-old kids, and the incompetent adults shaped them this way, by the way they treated them. Mary wasn't given an ounce of love by her parents in India, yet she's expected to show love and be a normal cheesy child in her new home. Where do they expect her to pull that from? And Colin is always told, 'Lie down and take it easy, my boy,' and never, 'Why don't you lean on my arm and come to the window seat for some sunshine?' Then they have the nerve to complain about him throwing the occasional tantrum. When Mary and Colin end up proving that neither of them are really the monsters the adults turned them into, nobody thinks to say, 'Whoops, our bad.' I never expected to feel so angry reading this for the second time. Talk about indulging in forms of child abuse, then blaming the children for their own perceived shortcomings. It's a horror story, in a way. Good on Mary and Colin, for taking matters into their own hands. I've come across people who have criticized kids' books for what they call 'glorifying disobedience', even when the young heroes end up saving the day (take Harry Potter stories, and other more modern ones). The same thing happens in The Secret Garden, from the moment Mary decides to investigate the strange sound of crying for herself. The adults deserved to have their authority flouted, because they consistently made the dumbest decisions. Why keep Mary and Colin apart from each other in the first place? And why the heck didn't anyone ever think to introduce Colin and boy wonder Dickon to each other earlier, since they lived in the same vicinity? The adults are the baddies here, and there's no two ways about it. 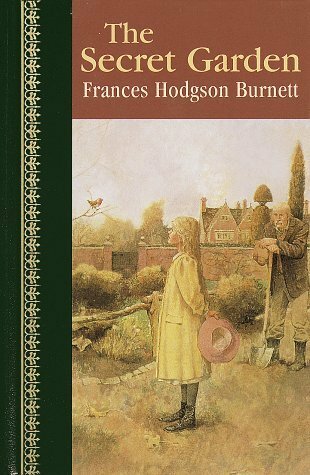 Another thing I must have overlooked during my first read through as a kid was Frances Hodgson Burnett's strong metaphysical agenda in the writing of the story. She has Colin deciding to chant, 'Magic is in me, magic is making me well.' When the children discuss this together, he says, 'Perhaps the beginning is just to say nice things are going to happen until you make them happen.' And there are several similar quotes, particularly thick toward the end. Some readers might throw around terms like white magic, spells, incantations, self-reliance and sorcery. Whether or not you buy into all that, it comes across as if she's elevating the human mind and giving kids the message that they're totally in control of their destiny. If they only think enough good thoughts, these will transform their life circumstances and make things wonderful. That's a bit dodgy and limited however you want to look at it. There are a few nice, heartwarming parts about enjoying the garden, but not enough to make up for all that I just ranted about. The crocuses, snowdrops, lilies, jonquils, narcissus, jasmine and daffodils (or daffydowndillies) get good mentions. My favourite part is when Ben Weatherstaff, the gruff old gardener, chokes up with emotion when his friend, the robin (the real hero of the story in my opinion) decides to honour him by landing on the handle of his shovel. It's nice to see unlikely friendships, including a crusty old guy and a bright little bird. So yeah, that's it overall, and I have to wonder whether my list of friends who have given the book 5 stars have rated that on a long forgotten, nostalgic read in their youth, rather than the sort of recent, no-frills read I just had. All Faith Harp wants is a quiet life--to take care of her troubled brother, Sam, earn enough money to stop the poverty wolves snapping at her heels, and to keep her past buried as deep as possible. And after years of upheaval, she might have just about managed it: Sam's latest treatment seems to actually be working, Faith is holding down a job, and she's engaged to the gorgeous and successful Perry. But, for Faith, things never seem to stay simple for long. Her domineering mother-in-law-to-be is planning a nightmare wedding, including the wedding dress from hell. And the man who killed her mother is released from prison, sending her brother tumbling back into mental illness. When secretly planning the wedding she really wants, Faith stumbles across a church choir that challenges far more than her ability to hold a tune. She ends up joining the choir, led by the fierce choir-mistress Hester, who is determined to do whatever it takes to turn the group of ragtag women into something spectacular. She also meets Dylan, the church's vicar, who is different than any man she has ever met before . . .
Genre: Contemporary drama/romance, chick lit (sort of), suitable for both Christian and secular market. My biggest take-away from this novel is that our experiences are grained into the fabric of our personalities. Even with a wealthy fiance, new car and the offer of limitless financial support, Faith still thinks with the battler's perspective and insists on working hard to look after herself. It's easy to understand, when you consider the gradual revelation of all she's been through. It's quite fascinating. She's planning to marry a millionaire, but still has a broke person's mindset. Overall, Faith comes across with a strong sense of her own personhood, which she never compromises or allows to be violated. It makes her an admirable main character. Beth Moran's writing style is fantastic. 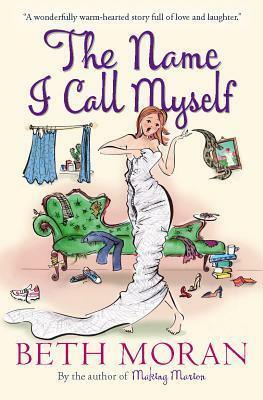 She knows how to play with a reader's emotions using a good blend of humour and pathos. She also has a way of making every character well-rounded and three-dimensional, including those with cameo roles. Each of the ladies in the choir stands out as individuals. The heart and wisdom of Hester the choir director, is one of the good parts of the story. She wants the ladies to develop such a loving bond that they support each other like a single organism, and convinces them that they must believe the best of themselves before they can expect their singing performance or lives to get any better. I liked her creative schemes to get them out of their comfort zones. Bonding happened, as Hester hoped, but on a few occasions some serious accidents were narrowly avoided. At those times, she came across a bit like an unqualified, self-appointed counselor who took huge decisions on herself. She was lucky they didn't turn out any worse. The progression of Faith's romantic dilemma was interesting. Although it's pretty clear from the start that Dylan, the rugged pastor, is marked to be the hero, it was looking like she could've easily gone with Perry. He wasn't an anti-hero. In fact, I think it's to his credit that he turned out as nice a guy as he was, having been brought up by his snobby, overbearing mother. Perry was a product of his upbringing and circumstances, just as Faith and Sam were of theirs. Parts of the story seemed a bit rough on him, but I think he had a narrow escape too, since he could have ended up with a woman who wasn't in love with him and could never share his view of the world. He should have got out earlier, since there were many alarm bells. For example, she never said, 'I love you.' They probably could never have really been a good match, since their world outlooks were poles apart from childhood. I think many readers who enjoy the 'One true love and you'll know when it hits you,' ideal will enjoy this book. It shows even big girls aren't too old for fairy tales, which sometimes do come true. Hey, I'm not sure if it's ever fully revealed why Dylan was still single. He said he'd explain one day, but did he ever? I'll try not to drop plot spoilers, but I decided to take one star off because although the writing is top-notch, some of the events of the plot left me horrified. I found one part of the story to be the emotional equivalent of a whack in the guts. It's most disturbing because the characters concerned are forewarned in plenty of time and do all they can to take precautions, calling on people who ought to be equipped to help, yet the situation still turns out just as they'd feared. That creeps me out. It was like a nightmare, which doesn't say much for the help we can expect from our society (or God, some readers may add). Sure, plenty of novels reflect the devastating turns life may take, but I thought it a bit unfair to the reader that this turns out to be one of them, because we were lulled into a sense of security. The cheery front cover design and some of the hilarious happenings early on lead me to expect for certain that this particular plot thread would be cleared up okay. Especially since the characters were doing all the right things. When I got to that stage, all I could do was gulp and say, 'I really didn't think she'd take it there.' It's just one of the hazards of the adventure of reading, I guess. This blog post was prompted because of the popularity of the new release, 'Harry Potter and the Cursed Child.' A big focus in this play is the heartwarming friendship between the sons of two traditional enemies, Harry Potter's son Albus, and Draco Malfoy's son Scorpius. Several fan groups across the internet believe that the boys' friendship is rich with gay subtext. They've expressed crushing disappointment that JKR and her fellow authors decided not to take Albus and Scorpius that way. A couple of crushes on females have been included for each of them, but several people call this a cop-out. Fan art and fiction to change this is no doubt being produced as we speak. This is just what I've noticed rife on the internet at the moment. I can't help wondering if it highlights a bit of a problem in our culture. Why are so many people trying to read romance into Albus and Scorpius' friendship, just because of of its depth and sensitivity? Can't a pair of teenage boys enjoy a strong, affectionate friendship without being gay? Could it be because we see so few intense male friendships of this nature presented in literature and the media that so many people instantly assume what was never intended to be there? Even when I searched through images of friends for this blog post, I found an abundance of close girl friendships (hugging, arms around each other, foreheads together, smiling etc) but barely any for males. I'm thinking it must be high time to resurrect the 'bromance', which is defined as a close, non-sexual relationship between guys. These thoughts prompted me to start searching through my mind for good examples of literary bromances. Although I came up with quite a few, I felt as if I was scraping the barrel. Some of them aren't quite perfect, and others are really, really old. But here they are. It seems right to begin with the hot-off-the-press bromance that prompted this post. These two boys are a perfect friendship match on many different levels. First, they turn established patterns on their heads. A dark, resentful Potter hits it off with a sunny, optimistic Malfoy. Their fathers' history of mutual antagonism means nothing to them, because they take people on face value. They discuss sensitive, emotional issues with honesty and are both willing to admit that their life at Hogwarts would be unbearable without each other. When forced apart they are entirely miserable, and aren't afraid to acknowledge that they intend to always be there for each other. This bromance even helps their families bridge their gap after more than twenty years. Imagine Harry and Draco having a polite discussion about mutual parenting challenges, and Draco offering Harry a piece of sound parenting advice which he decides to accept. This comes across realistically all because of their sons' bromance. You can't start with Scorpius and Albus without mentioning the Hogwarts generation that came before. Although they were often part of a trio rather than a pair, Harry and Ron shared a close, best friend relationship. They had their ups and downs, but proved many times over that their manly affection for each other extended to death if necessary. A lovable duo. It's pretty sad when you have to rely on droids to provide a decent bromance. But these two are firm friends who travel together, look out for each other, translate for each other, understand each other and hate the thought of being separated. I admit I've never read these American classics. Being an Aussie, they weren't set on our school curriculum. But from reports I've heard all my life, I assume these two lads are inseparable friends on the same wavelength. I wasn't sure whether to include this one, wondering if their relationship is on quite the right footing to be considered a bromance. There is always a bit of servitude in Sam's attitude toward his beloved Master Frodo, but hey, I wanted to grab something. They are both intelligent, professional gentlemen who at least give lip service to a relationship of equality. Watson is always keen to tag along on Holmes' detective escapades to see what his friend will come up with next, and so he can say, 'You're incredible, Holmes!' And he never seems to find that smug, 'Elementary, my dear Watson,' at all condescending. Maybe not a perfect bromance either, but once again, I grab them where I find them. These two seemed to be unlikely friends because of their different temperaments, but I guess they tick the bromance boxes. They enjoy hanging out with each other, they travel together and make sure to synchronise the plans in their calendars. And they've been friends for long enough that they make allowances for each others' foibles in a good-natured, eye rolling sort of way. The moody Prince of Denmark always had his best buddy to try to make things easier for him. Sadly Horatio's best efforts didn't make a whole lot of difference in the end, but at least he was always there for his friend, and Hamlet appreciated him. These two are getting closer to my bromance ideal, yet Charles Dickens lived long before the term was ever conceived. These young men became best friends and housemates with mutual concern for each other. They looked out for each others' interests, and were totally trustworthy and comfortable together. But do we really have to go back to Victorian England to find a good bromance? A bit sad if that's the case. I'm referring to one of my own published novels here, A Design of Gold. I worked really hard on this bromance between two young men who had nothing in common on the surface, yet felt thrown together in several different ways, until they realised they were more alike than either of them would have imagined. And it takes a life or death sort of situation for them to come to this point. I think the ancient biblical bromance nails it, and sets the bar high for all future bromances. These two were devoted to each other to such an extent that David declared Jonathan's love superior to that of a woman, and we all know David was definitely a red-hot male who loved his women. Jonathan's actions proved that David's opinion was justified. He was the Crown Prince at the time of the friendship. Even though David's rising popularity jeopardised his own chances of someday becoming King of Israel, that didn't matter to Jonathan. He remained devoted to David and his cause all his life. If you can think of any more good bromances, please let me know. It's high time boys were free to celebrate their BFFs, as girls do. 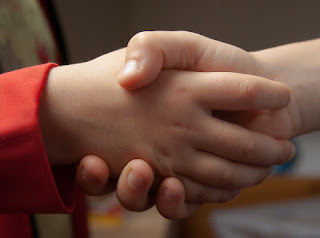 My son has a number of fairly close male friendships, so they are out there in reality. We just need to see them reflected in stories and art. Please bring them back into our stories and folklore. 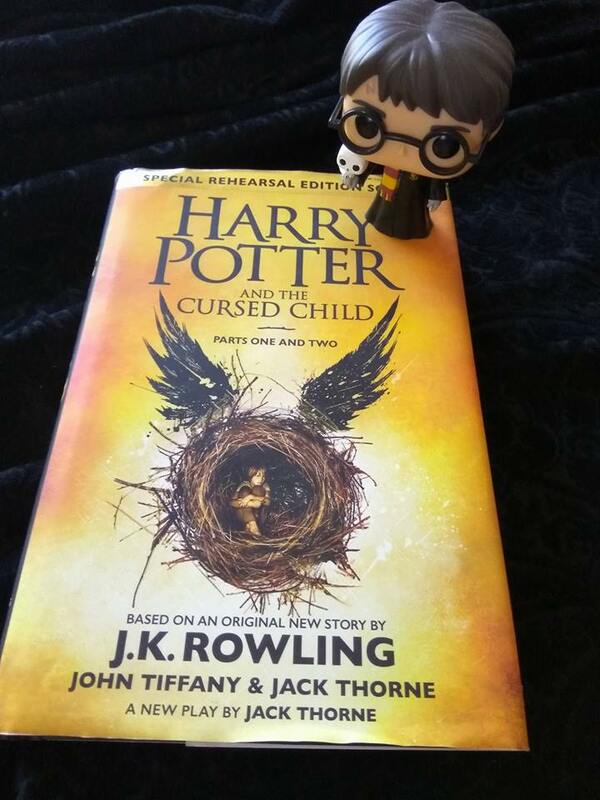 To read my review of 'The Cursed Child', click here. Genre: General, contemporary, women's fiction. Shakespeare knock-offs. I just found about the Hogarth Shakespeare project when I started this book. It seems Crown Publishing is on a mission to have some of Shakespeare's works re-told by well-known novelists of today, and this contribution by Anne Tyler is based on 'The Taming of the Shrew.' That was a pretty sexist text. Even the title can come across as offensive in our times, whether or not you're a feminist. The male lead character, Petruchio, sets out to make the opinionated Katherina into a more compliant and obedient bride. It's not something I can imagine (or would want) translated into the twenty-first century. I was curious to see how Anne Tyler would handle it. In this story, Kate Battista (the Katherina character) is the elder daughter of Louis Battista, an intense scientist. She works as an assistant at a childcare centre, because she's run afoul of her supervisors at Uni and feels this is all she can get. Kate's younger sister Bunny (the Bianca character) is the traditional bimbo who aims to attract boys with her prettiness and frivolity. Their father has a young international research assistant named Pyotr Shcherbakov (the Petruchio character) whose visa is about to expire. Since he's the best assistant Louis ever had, the old man cooks up a plan to talk his daughter Kate into marrying him, just so he can keep his protege in the country. Pyotr is one of the best and most interesting characters in the story, but I was disappointed that Tyler never took him as far as she could have. He's introduced as an orphan, and from time to time he drops brief stories and hints about his lonely, alienated childhood and youth in a country far removed from theirs, This is what begins to warm Kate toward him. But it's never quite enough! I kept expecting more unfolding revelations, helping our own affection for him to grow. I got to the last couple of pages and realised that what we had was all we were getting. It was a bit disappointing, since the potential was there to add so much more. I found Kate's work and social dilemmas more interesting than her romantic one. She's a direct and honest person who calls things as she sees them. That sounds like a positive trait, right? Well, in this story, people with power endlessly try to force her to modify her behaviour. Mrs Darling, the pre-school director, threatens to fire Kate unless she develops more 'tact and diplomacy' when dealing with parents and pupils. Kate realises that she's really being ordered to skirt around doling out pleasant sounding half-truths and outright lies, as everyone else does. So the story gets us wondering whether people who say they value honestly really mean it. In Shakespeare's play, the other characters believe Katherina is someone who genuinely needs to be tamed. 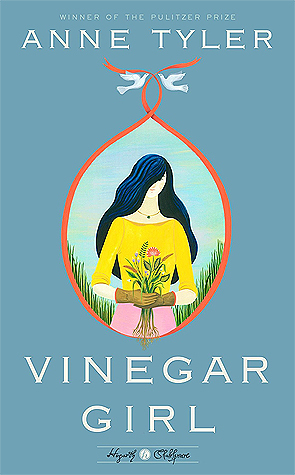 In 'Vinegar Girl', we get to question whether Kate's version of 'shrewishness' is a bad thing. She's witty, observant and free-speaking at the start, and I was pleased to find that she was still a witty, observant and free-speaking woman in the epilogue. In Anne Tyler's version, being 'tamed' turns out to be gaining a more understanding point of view toward others, particularly her new husband and other men in his position. This turns out not to be a bad thing. I found the story a bit too heavy with annoying and difficult relatives. Toward the end I was getting really sick of the silly extended family. They took valuable word space from the main part of the story, which should have been Kate's budding relationship with Pyotr. What was there between the two of them was fun, but it wasn't half enough. As it was, he managed to get her to warm to him with more ease than I think he should have. However, it was a quick, fairly enjoyable read, with a simple and fun message not to dismiss romance, no matter how contrived the circumstance seems to be. Someone recommended this as a light, holiday beach read, which I'd agree with. Thanks to Crown Publishing and Blogging for Books for giving me a copy through Net Galley. Twins Delvina and Retza’s greatest desire is to be accepted as prentices by their parents’ old crew when they stumble across the strange abovegrounder. Trapped under the mountain, young Zadeki’s only thought is to escape and find his kin. Will the three youngsters pull apart or work together to save the underground realm? I offered some feedback on earlier versions of this story along the way, and it's been good and interesting to see how it's evolved. It's a pleasure to come across stories which are short enough to prove that a lot of skillful world building and characterisation can take place without needing heaps of space or wordiness. 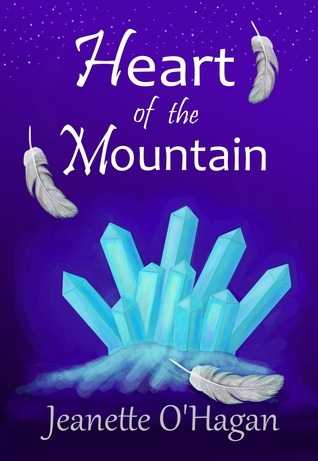 This is a quick read (just a 45 page e-book) and yet the racial differences between the mountain people and the abovegrounders comes through strong, along with all the attitudes of prejudice and suspicion. The descriptions are finely honed so it's easy to picture the scenery and characters in just a few well-crafted sentences. The young twins have a mission to prove themselves and aim to earn their places in their tribe. Stumbling across an injured stranger in need of help was never part of their agenda, but they try to figure out how they can use his presence to their advantage. Lonesome newcomer Zadeki considers himself in the deepest possible fix. The limitations of his captors gradually dawn on him, so he's able to step up when necessary in the perfect timing, and in a way that only he can do. I like stories in which the supposed underdog turns out to be the only one far enough removed from a bad situation to clearly discern problems which others are blind to. The story is also about the running and mismanagement of kingdoms. It prompts us to consider how easy it is to accept what we've always known, and to take the questionable words of leaders on board with blind acceptance, because that's how we've always behaved. It's about skirting around problems until you can no longer miss them, and also how corruption can breed on itself. Altogether, engrossing and thought-provoking. As I said, I've had the opportunity for a thorough read of this story along earlier stages, which makes it more difficult to rank, but I'd expect most new readers to want to give it a 4 or 5. 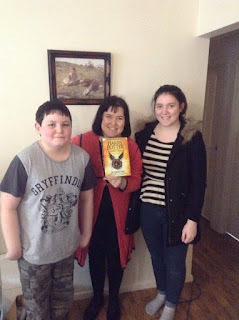 Click here for an interview with the author, Jeanette O'Hagan, back in 2014. Three-year-old Blake loved the book bear at a conference where I had a stall. 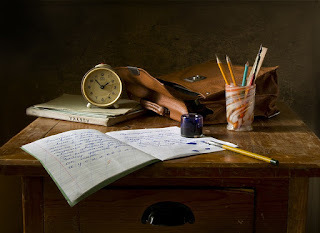 I recently shared a post about writers living with kids. During their growing years, I wrote and published nine novels. After discussing it over with them, I'm going to talk about the subject from their point of view. 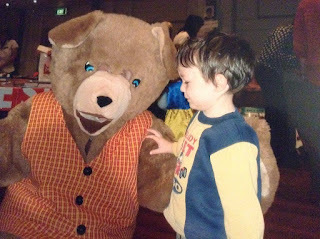 Here's a sample of the events which might be taken as typical occurrences during their homeschooling years. 3) Sometimes the kids tried designing covers, and choosing who they thought might be the right people to resemble characters in my novels. We'd have chats about the quality of other writers' covers, taking in font, layout, colours and title. The same applied to analysing other author's plots. 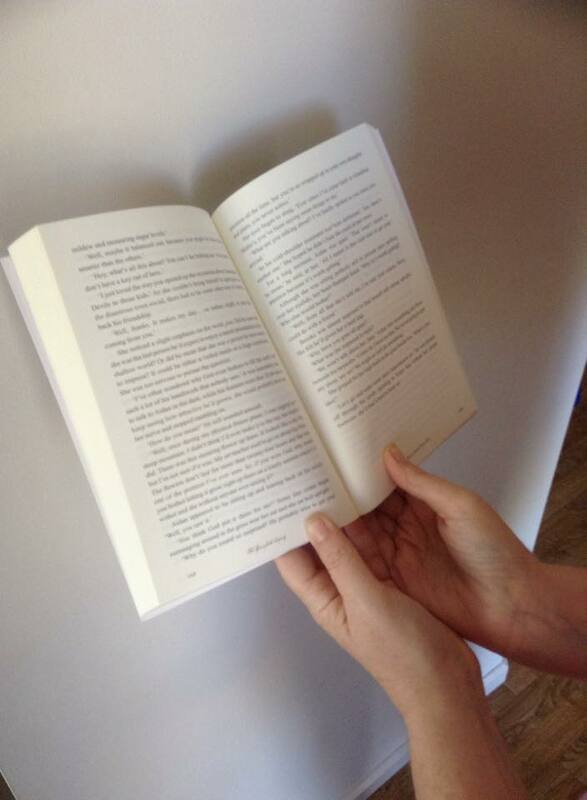 4) They read through the novels or manuscripts of friends or acquaintances of mine. Once, I was helping judge some entries for an unpublished manuscript competition, and offered to get my teenage son to add his opinion to a very up-to-date YA novel set in the world of computer gamers. He came up with a few technical issues to run past the author. She made the changes he suggested, and was kind enough to thank him in her acknowledgements. 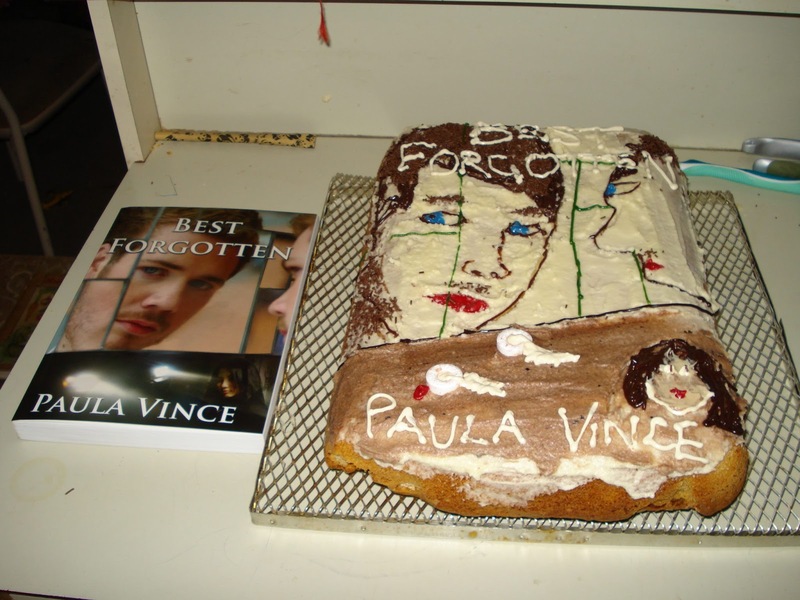 This was a cake my daughter baked and designed to match my 'Best Forgotten' book cover, for a launch. She was thirteen at the time. That's when it hit me that he thinks differently because he's lived with somebody who has kept on writing for as long as he could remember. I've asked them, and on the whole, Logan, Emma and Blake are all unanimous about the following. When they've told anyone, 'My mother has written some novels,' they've come to expect responses like these. Jake Palmer is a life coach and corporate trainer who was involved in an horrific attack which left extensive burns to the lower half of his body. His wife has left him and his rehabilitation was long and arduous. Jake used to believe all the success principles he'd taught so many others, but since his traumatic injury, he found it all a bit cliched and struggled to go through the motions. While staying with friends at a secluded retreat, he hears local rumors of a secret corridor where the deepest longings of a seeker's heart will be fulfilled. Although he scoffs, he makes it his mission to look into it, just in case. This isn't my favourite novel by James L Rubart. I felt there was sort of a contrived feeling in the holiday house, with many conversations between the couples introduced specifically instead of evolving naturally. Does anybody as consistently good-natured and goofy as Peter really exist? Most of all, I found it difficult to warm up to the main character. That may sound a bit harsh, considering all he'd been through. I didn't dislike Jake. It's just that over the long term, I grew depressed by his company and his headspace. Jake is a mopey life coach, which seems to be a bit of a contradiction. He forever focuses on the negatives of his situation, while there are also many positives. He can still walk, row kayaks, ride dirt bikes, swim, water-ski, resume his job, and the upper half of his body is completely burn free, but he never once seems to express thankfulness for all that. I was hoping for somebody to remind him that the outcome of his attack could have been far worse. It never happens to the extent that I thought he deserved. When he isn't snapping at Peter to stop trying to set him up with women, he seems to be wallowing in self-pity that he's all alone. I wondered why so many women seemed interested to get to know him anyway, since he behaved so morose and rude to them. I usually enjoy a good romantic thread, but reading all the ways in which Jake tries to fob off Ari, even though he's attracted to her, got a bit old. The story is written in such a way that it's easy to predict they'll get it together eventually. Seeing him keep up his insecure teenage boy act just detracts from the more interesting parts of the story. I didn't think it started to rev up until about the sixty percent point, when Ryan, the supernatural guide, introduces himself. 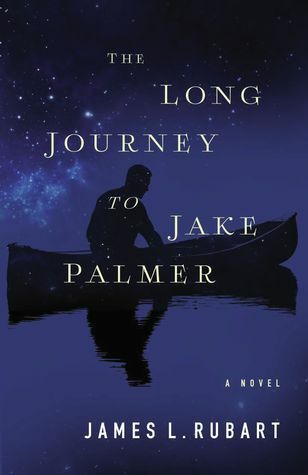 I did enjoy the way Jake's story becomes a parable, and he represents us all. His main issue turns out to be something we can surely almost all relate to, his response to guilt trips, and false and unnecessary grief about the ways he feels he's fallen short. Portals can be quite fascinating, and there are some intriguing thoughts about where fictional characters really exist, between the pages of books or in the individual imagination? So some of Rubart's usual trademark magic did come through. It's just this book seemed to have to wade us through a fair bit more waffle to get there. I guess every author is entitled to a few misses, and I've had so many hits with Rubart's novels so far that I'll look forward to the next one. I liked the reference to Black Fedora coffee, which featured strongly in his last novel, The Five Times I met Myself. This Decade-Spanning Novel of Family and Faith Will Delight. 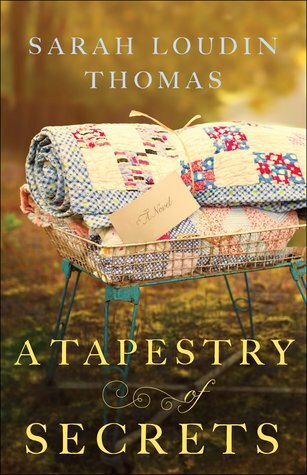 Carrying a secret of her own, Ella arrives back in Wise, West Virginia, to help her aunt Sadie care for Perla. Both know the woman wanted to tell them something, but she's now locked in silence. Together they begin looking into the past, but they may learn more than they expected. This is the third and final in the Appalachian Blessings series. I've also reviewed Miracle in a Dry Season and Until the Harvest. There is a wholesome, country feeling about the trilogy. I remember studying pastoral plays and poems as a student, and can't help thinking of these as pastoral novels. It's fun when a series following one family gradually changes from historical to contemporary. When we are introduced to new generations who hadn't even been born in the previous novels, it has a way of showing how time moves. The heroine is Ella, the daughter of Henry and Margaret from the previous story. She is a fabric artist who returns home to help care for her beloved grandmother Perla, who has suffered a stroke. Ella is recovering from a break-up with her city boyfriend Mark, but finds herself growing interested in two local guys, Richard the new pastor, and neighbour Seth. One of the main plot threads is a mystery which was touched on in the first book. Anyone who remembers Perla and her little daughter Sadie from Miracle in a Dry Season may also remember that Perla stayed tight lipped about the identity of Sadie's father, choosing to look toward the future rather than dwelling in the past. In this novel, she decides that Sadie deserves to learn the truth, just when her stroke renders her speechless. By this stage, Sadie is middle-aged and her relationship with her mother is a bit strained. Bits and pieces are gradually revealed through Perla's flashbacks, until we find out who he was. There are other things going on in the community too. I kept asking why did Ella have to stay so determined in her opposition to the sale of the church property? The answer, of course, is that it's one of the other main plot threads, but her fixed attitude got a bit old. As readers, I'm sure most of us can see the other side, but Ella refused to listen, and she hadn't even been living in the town and attending the church in her most recent years. She was trying to force her own sentimentality on the poor congregation members who had to put up with the chilly drafts, dodgy plumbing and all the building's other problems that were mentioned. When you think about it, this made her no different from Mavis Sanders, who was presented as a trouble-maker who refused to consider the other side of the debate. Mavis was an elderly inflexible grouch, and Ella was a young inflexible grouch. Happily, it did come to a conclusion. Overall, I found this a bit slower moving than its prequels and easier to put down, but I'm glad I've read the whole trilogy, and am up-to-date with the Phillips family. 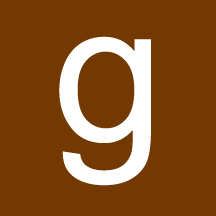 Genre: Classics, bestsellers, playscripts, adventure. Warning - I haven't mentioned any plot details beyond the first few scenes, but background information could blur into plot spoilers, in some people's opinions. If you want to know absolutely nothing whatsoever about the story before reading it for yourself, proceed with caution. This is the long awaited eighth part of Harry's story which we didn't even realise we were waiting for. It starts off at the moment of that controversial epilogue from 'The Deathly Hallows.' Being a play script, it's obviously different to read than a novel, but this excellent story shows how complexity of character can shine forth with nothing more than dialogue and stage directions if written well. First, we have two fresh young heroes representing the new generation. They are different from each other, but their strong bond of friendship, based on shared alienation, is excellent. Albus Potter grapples with what several children of high-profile, celebrity parents have experienced before him. He feels he can never live up to his father's illustrious reputation, and since Harry's exploits included saving the world, Albus has bigger shoes to fill than most. Being sorted into Slytherin house, while his brother and sister carry on the Gryffindor tradition just compounds his resentment. Maybe the sorting hat can be blamed for some of Albus' angst. He's a prickly and sarcastic kid with some wild and original ideas when it comes to blazing his own trail. Some of it includes an illegal time-turner, and the cocky, over-confident little rebel almost repeats Marty McFly's mistake from 'Back to Future' and puts himself in danger of never being born! His best mate, Scorpius Malfoy, turns out to be a bit of a show-stealer. Scorpius has that wistful way of someone who has had to put up with a lot of vicious, hurtful gossip, but hasn't let it embitter him. He's shown to have a milder, more reflective nature than his father ever did, and fears he's been a disappointment to Draco, who would have liked him to be more forceful. Scorpius' mother, Astoria, must have had a kind and loving heart, to judge from his own character and his reminiscences about her. Being one of those thinkers who hang back and make wry observations, he has some of the best lines. Although he's a natural follower, Scorpius is eventually forced into a position where he has to take control, make firm decisions, think on his feet and stick up for himself. I loved him. Seeing the others as middle aged adults grappling the challenges of parenthood warms my heart too. Harry is his same well-meaning self, but flounders when it comes to trying to understand his surly son, and sometimes sticks his foot in it. Ron drops his usual lines of comic relief at the right moments. And those signs of a nobler spirit that seemed to be stirring in Draco have more room to grow as parenting worries cause him to show his vulnerable side. You can't help feeling deep sympathy for him in this story, for the hard knocks he's had. He's a recent widower and his son means the world to him. There are hints of a romantic back story in which he stood up to his father at last. I always hoped Draco would muster the courage to let his defenses down, since it must have been rough having Lucius for a father. And I love that the other marriages are rock solid. There's some really sweet heart-to-hearts between Harry and Ginny. I enjoyed the occasional jokes about aging, now the older characters are in their early forties. There are other fun bits too, such as the fact that the Potter family have gone off sugar. At one point, Hermione offers Harry a toffee, which he declines. It would seem that not only the muggle world is keeping up to date with current health trends. I think the play may have purposefully set out to debunk or explain some criticisms that might have been leveled at the series, such as the limitations in the extent of help you can expect from time-turners and headmasters' portraits. It's great to revisit this magical world with its limited technology. At one stage when the two boys have been missing and there's some clue to their whereabouts, Harry tells Ginny, 'I'll send an owl to Hermione and you send one to Draco.' It would seem they still haven't got their heads around the 'fellytone' as Ron used to call it, which you'd imagine must be far quicker and less fiddly. Although the wizards laugh at us muggles, the efficiency of our twenty-first century communication must run rings around theirs in some ways. But at least they don't get nuisance calls from telemarketers. Got to love them. J.K Rowling is reported to have said this is definitely the last we'll see of Harry and co, but can it really be? There may be the vaguest hints of a possible budding romance between Scorpius Malfoy and Rose Granger-Weasley, who comes across as a mini Hermione. Speculations had probably started after the epilogue in 'The Deathly Hallows' when her father Ron joked with her not to ever marry him. If that's exactly what some readers hoped would happen, there's certainly more fuel for their speculations now. Altogether, a real treat I wouldn't have missed. I've written more articles about this play. You might like Is Harry Potter a bad Dad? Or Can sworn enemies ever become friends? To read about the dramas we went through to acquire this book, click here. And to read a post about heroes, click here. Or one about bromances, click here. This is the true story of a wild goose chase that took place on Sunday, 31st July, 2016. The characters are me, my daughter Emma, and my younger son Blake. It's the international release day of the play script, Harry Potter and the Cursed Child, which takes place 19 years after the events in the series. The previous night, the screen play opened in London, and the book release is scheduled for the following day. As far as the kids are concerned, waiting for a couple more days is out of the question. Since I'm the last person to complain about visiting bookshops, I agree. We leave crestfallen. Emma tells me we must drive down to Dymocks in the city and pay full price after all, since they will be bound to have plenty in stock. 'They promised on their Facebook page that they'll have thousands and there's no way they'll run out,' she says. I wonder why Big W kept their costumed hirelings in the store, raising people's hopes just to be dashed. Wouldn't you think that once they ran out of copies, they'd tell them, 'You guys might as well go home'? We decide to make a stop at the Dymocks bookshop in Burnside Village, because it's fractionally closer than the city. We leave crestfallen again. I'm ready to give up and head for the Hills, but the kids wheedle me into trying the city just in case. By now we are all very doubtful, but since we've come so far already, we decide we might as well. When we enter the door of the city Dymocks, I catch the eye of Harry Potter himself. He's a young, dark-haired staff member wearing a wizard cloak, round glasses and a jagged lightning scar on his forehead. I ask, 'Do you have any stock left?' knowing I won't have to mention the name of the book I'm after. He says, 'Sorry, they're all sold out,' (which feels a bit ironic coming from a Harry Potter clone). 'But if you go upstairs, leave your name on the waiting list and we'll contact you when the next shipment arrives.' Emma does this, since it's looking like it will be our best shot. We leave crestfallen for a third time. Emma grumbles that Dymocks made such a massive under-estimation, when they promised the public on Facebook that they would be fully stocked all day. We search the Rundle Mall K-Mart a few doors up, just in case, but they don't even have a book section. Blake suggests that we pop our noses in at Target, since it's just across the road from the carpark. Although I expect to find nothing there, I agree we might as well, since we're already down here. This is the stage which shouldn't have happened. When we arrive home to Mount Barker, I decide I'll just dash into K-Mart for a few things. And would you believe it, THERE AT THE ENTRANCE IS A LITTLE PILE OF HARRY POTTER AND THE CURSED CHILD FOR JUST $15!! Does our story have a moral? Maybe it has a couple. Don't go rushing off before you've checked close to home? The places with the most hype aren't necessarily the most reliable. And patience is commendable. After our run-around, I'm hoping the actual Harry Potter story will be great. UPDATE: I've now read it, and my review is here.